When looking at the pros and cons of homeschooling vs public schooling, many factors can be addressed. Here is a chart that I prepared that gives my view of homeschooling vs public schooling. I have homeschooled my four children since birth, but my second child went into public school for her sophomore year of high school this year. Since my husband is a public school teacher, I think I have a pretty good idea of what goes on in both places. Curriculum and books are chosen by parents. Can be overwhelming to think about, but very doable. Curriculum and teaching methods chosen by school and teachers. No chance to adjust if child is not responding to the books or methods. House gets more messy because of time spent at home and less time for mom to clean. If mom delegates correctly, the house can still stay reasonably clean. House can stay cleaner because not as many people are at home all day, but students are often busy after school or in the evening and can't contribute to the housework or pull their weight at home. Criticism from people about your choice to homeschool. No one criticizes you for sending your child to public school except maybe some homeschoolers. Parents need to purchase all books, curriculum and resources. School provides all books, curriculum and resources although sometimes parents have to pay school fees to cover some of these costs. Parents and students can experience burnout if there are problems with the curriculum. Usually just the students experience burnout in public school. Students are surrounded by family members all day. Students are surrounded by peers all day. As with anything in life, there are pros and cons to everything. When we became parents we chose to ignore the cons and become parents anyways. The same holds true for homeschooling vs public schooling. We look at all our options and choose what is best for our child. Then we take the good with the bad and realize that the good should outweigh the bad in the end. If you are suffering from homeschool burnout and are thinking about sending your child to public school, you can check out my homeschool burnout page and see if some of the ideas there might help you overcome this feeling. It's important to take your child's learning style into account too. Maybe the method of instruction could be adjusted so your child will enjoy learning again. You can also get some one on one homeschool coaching from me to help you along the way. Homeschooling can be a challenge, but if we keep the best interest of our child as our main goal, we can overcome any obstacle. 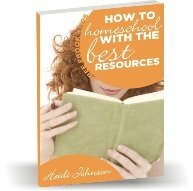 There are so many resources and people available to us both in our communities and online, that no one should be alone in their homeschool journey.